Hint: It’s about showing employees that they are cared for during a significant life event — good or bad — so that they can come back to work happy and productive. 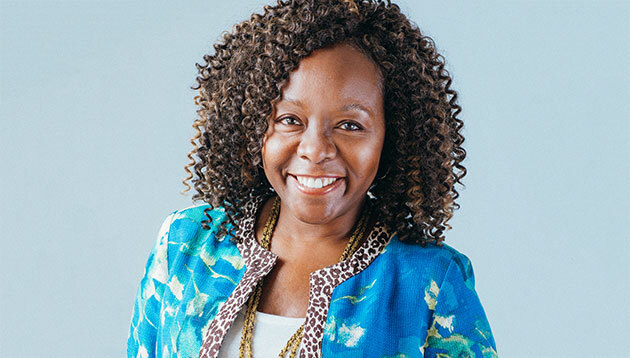 Check out what InaMarie Johnson, Chief People Officer, Zendesk, has to say in this interview with Jerene Ang. Q. What is the most innovative HR initiative Zendesk has implemented to date? At Zendesk, when someone is going through a significant life event — good or bad — we encourage them to take the time they need so that they can come back to work happy and productive. This is why we have generous PTO (paid time off) offerings, an extensive wellness programme, and excellent healthcare support appropriate to each country. I’m particularly proud of our generous parental (maternity/paternity) leave policy. We offer a minimum of 16 fully paid weeks for new mothers and fathers – anywhere in the world – regardless of gender or circumstance. We want to show our workforce that we value parents and empower them with the flexibility to choose who works when and how. We believe generous policies rooted in trust are the key to achieving work-life integration and, in turn, fosters the success of our organisation as a whole. Our philosophy is that families these days are unique and diverse and we want to recognise the changing roles parents play in the family unit, no matter how your family is structured. Q. What are three key trends you see for HR in 2019? First, enhancing the candidate and employee experience (EX) underpins a company’s success. It drives your brand and outlines your employee value proposition to support a growing business. In 2019, we’ll see an increased focus on EX’s impact on company outcomes. Related to that is also building a strong leadership framework. In 2019, I hope to see more companies defining what their overall leadership philosophy is, and appropriately levelling that out and communicating it to all employees. It’s important to develop an effective approach to assessment that tracks progress for leaders and demonstrates the impact leadership is having on the organisation. Supporting scale when plagued with limited resources is an inevitable challenge a lot of HR professionals will face. Finally, the rise of data analytics and automation capabilities will continue to reshape the HR business landscape, enabling the emergence of innovation and allowing HR leadership to more effectively focus on recruiting talent, driving engagement, and furthering our diversity strategy. Q. What are the top three challenges you expect the function to face in the coming year? The most prosperous companies to emerge in the last ten years have shown us that healthy, sustainable growth is all about scaling effectively while managing costs and other challenges. Supporting scale when plagued with limited resources is an inevitable challenge a lot of HR professionals will face. It requires planning, funding of the right things, engaged staff, thoughtful processes, the right technology, and great partners – and it’s impossible to do perfectly. Another challenge I’ve seen my peers and I face first hand is developing global consistency, while still cultivating the local nuances of all the various regions in which a company operates. Balancing a global mindset with cultural understanding is a special skill and one that when it does exist, helps to drive feelings of inclusivity amongst your employees. Finally, achieving a shared understanding of and commitment to concepts like leadership, culture and D&I is a challenge for companies, especially those that have always put other things first. It absolutely requires executive commitment, but real change happens when the entire company plays an active role in creating positive change in the way they work, how they act in teams, and how they expect teammates to behave and operate. So working towards a more inclusive future is something we’ll see leaders tackle in new ways. Q. In line with that, what is Zendesk’s top talent priority for 2019? Leadership development – enabling the organisation for growth, agility and collaboration (and to attract top talent)! Leadership issues are increasingly important and more impactful to our goals such as attracting top talent, ensuring high employee engagement, demonstrating diversity, managing retention, aligning succession and development plans, assessing compensation and planning future leadership needs.